Bring your architect and builder? 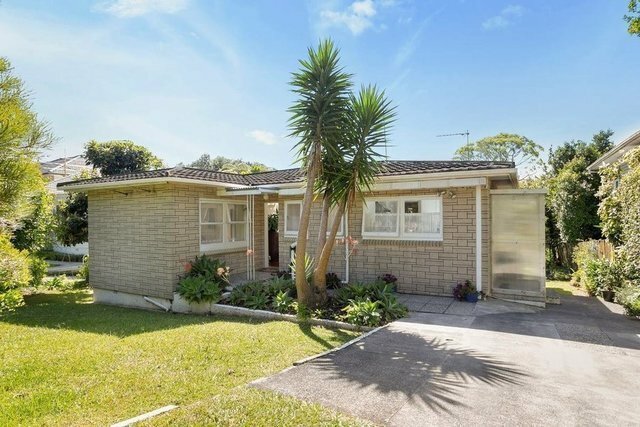 This modest three bedroom home situated on an expansive (984m2) sun-drenched north-facing site offers enormous potential to create your ultimate dream home in this very sought-after and tightly held location in this neighbourhood with a real sense of community. Featuring a private front garden, open plan living flowing out to the sunny deck, a perfect spot for summer bar-b-ques or sunset cocktails - step outside to the vast green expanse of backyard with mature fruit trees, vege garden and lush tree fringed lawn. With the added bonus of a workshop, laundry utility room, plenty of storage space and double carparking and all just an easy walk to the bustling Westmere shops, cafes, parks and beaches and the wonderful Weona Walkway - this really is a superb location. This property is essential viewing for its position and potential and an opportunity not to be missed. Dream the dream? this is truly a rare opportunity to secure premium Auckland real estate.